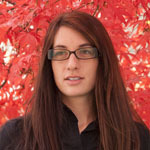 Kate Allen (UBC ’10) is a print and multimedia journalist who has worked and written for the Toronto Star, the Globe and Mail, Toronto Life, BC Business, and various other publications. Her major topics of interest are food and the environment. Sarah Berman has many opinions about art, music and society expressed in the pages of Discorder Magazine, Adbusters Magazine, The Block Magazine and Megaphone Magazine. Her short documentary On Corporate Graffiti has been screened in New York and Philadelphia. Sarah has worked in Blantyre, Malawi for Journalists for Human Rights. Kerry Blackadar is a Vancouver-based journalist. She is currently employed as a contract associate producer on a feature-length film about global access to medicines. In 2010, she obtained her Master of Journalism, with a reporting specialization in healthcare. Over the past several years, she has maintained freelance work as a reporter and copy editor with the North Shore News and honed her investigative skills while working as a research assistant on a book about the domestic war on terror in the US. 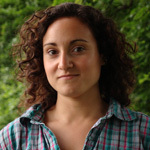 Kerry previously interned as a chase producer with CTV Canada AM and was one of six young filmmakers to participate in the 2010 DOXA Youth Connexions Program. 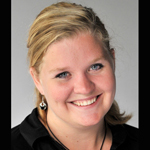 Brandi Cowen is assistant editor of three trade publications owned by Annex Publishing & Printing – Bakers Journal, Canadian Pizza magazine, and Ground Water Canada. 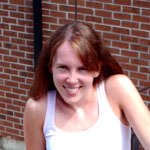 She is also web editor for Annex’s Canadian Vending & Office Coffee Service Online site. While at UBC, Brandi interned with the Vancouver Observer, reporting on city politics for the Political Junkie blog. Darren has worked and volunteered in Africa, Asia, Australia, and Russia. 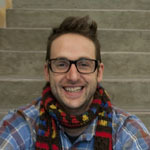 He has recently finished his Master of Journalism thesis at UBC. His research looks at the relationship between media, democracy and development in Zambia, where he worked as a media trainer for Journalists for Human Rights. He recently co-authored an investigative series, “Lost Canadians,” which won Best Article at the 2010 Canadian Online Publishing Awards. He has also been recognized by the BCYCNA for Excellence in Community News Reporting. 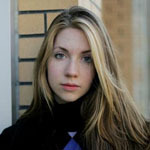 Rebecca Lindell is an Ottawa-based journalist with a passion for politics and current affairs. She is currently working as a digital journalist at Global News and has reported for the Vancouver Sun, the Globe and Mail and Postmedia News Service. Rebecca is a graduate of the UBC Graduate School of Journalism. Karen Moxley is currently working as an associate producer with CBC Radio in Calgary. 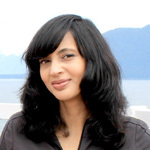 She has also worked for CBC in Vancouver, The Times of India in Bangalore, and for NBC during the 2010 Olympics. Karen hopes to pursue a career in radio, television, or documentary production and is keen to continue telling and reporting international stories. Sarah Stenabaugh is a freelance journalist who lives and works in Vancouver. She has worked for Megaphone Magazine and as part of her master’s thesis, Sarah conducted a year-long investigation into effective policy improvements for missing women in British Columbia. 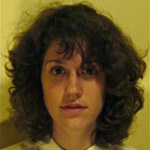 Alexis Stoymenoff is a Vancouver-based freelance journalist and editor. Since completing her Master’s degree at the UBC Graduate School of Journalism, she has worked on various projects and platforms including documentary film and television production, radio broadcasting and online community reporting. 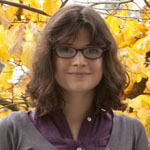 She is currently the Contributing Editor for the Vancouver chapter of OpenFile.ca – a collaborative local news website. 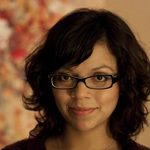 Magally Zelaya is a television writer, reporter, and producer at CBC Vancouver. She’s also worked at the CBC London foreign bureau, for NBC during the Vancouver Olympics, and on an Emmy-nominated ABC documentary about the global oil industry. Magally plans to continue reporting internationally, focusing on the emerging issues of the developing world. Faiza Zia Khan graduated with a Masters Degree in Journalism from UBC School of Journalism. She interned at Global National – Canwest Media. Her area of interest is ethnic communities and mixed unions. Faiza has written numerous print articles and worked on independent multimedia projects. Currently Faiza resides in Vancouver and free lances as a journalist while working in the financial investments sector.